ndustrial hemp is becoming a big business in the United States. Projections show that it has the potential to earn billions of dollars and create thousands of jobs in the next several years. Industrial hemp is a form of cannabis sativa with less than 0.3 percent tetrahydrocannabinol, or THC, making it entirely distinct from its cousin, marijuana. Hemp is used in the production of goods such as rope, lotion, cannabidiol (CBD) oil, sunscreen, clothing, and paper. Research centers across the country are beginning to study the plant to prepare for its promising economic future. The Imperial Valley Conservation Research Center (IVCRC) in Brawley, California, is on the cutting edge of industrial hemp research. 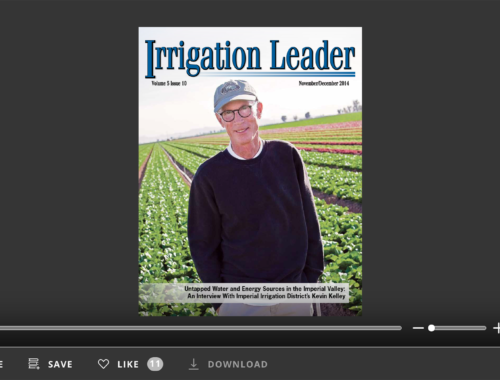 Parker Kenyon, a writer for Irrigation Leader, spoke with Jim Wood, director of the IVCRC, about the center’s research on industrial hemp, the crop’s future in the Imperial Valley, and how the public perceives the operation. Parker Kenyon: Please tell us about your professional background. 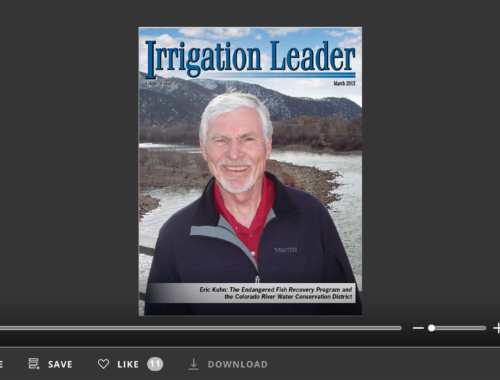 Jim Wood: Well, it is interesting—most of my background has nothing to do with agriculture and agricultural research. I went to Purdue University, where I graduated from the Krannert School of Business, and I earned an MBA from the University of Cincinnati. I then worked for manufacturing companies for 20 years or so, primarily for the Gillette Company, where I was an operations manager for a number of their operations. Then, for almost 20 years, I ran my own business, a manufacturing operation based in Mexicali, Mexico, where we made plastic parts used primarily for packaging. Three years ago, I took the position of director of the IVCRC. Parker Kenyon: Please give us some information about the IVCRC. Jim Wood: The center was established in 1951 as a U.S. Department of Agriculture (USDA) research station. It was operated and funded by the USDA until the year 2000, when the USDA shut down some of its research stations around the country, including the one here in Brawley, California. A group of farmers who had already been involved in directing activities at the station took over the center. They formed a board of directors and began operating the center as an independently run nonprofit research center. The primary role of the research center is to support research that benefits the Imperial Valley. We have roughly 130 acres of small plots available that agriculture companies and farmers can lease to conduct trials. Customers lease fields of anywhere from 1 acre to around 10 acres and do their own research in the fields. Our role is to provide farming services to the customers, such as land preparation and irrigation water. remove selenium from river water that will eventually end up in the Salton Sea. The algae is also being evaluated as a potential biofuel. 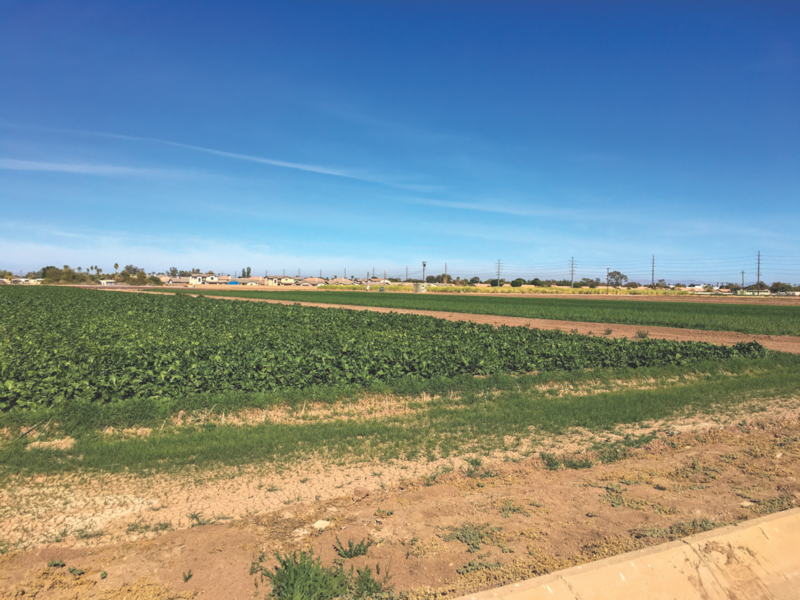 We have a student farm project operated under a California Department of Food and Agriculture grant that ties into nutrition education in the Imperial Valley. We also work with Beta Seed, a company from Minnesota; we provide the company with a farm advisor to help conduct their research and report back on the activities and results. Parker Kenyon: Would you please describe the work that the IVCRC is doing with industrial hemp? Jim Wood: I will start by giving you some of the history of the project. In 1994, a gentleman by the name of Chris Boucher came to the Imperial Valley and worked with the center to grow about 1 acre of industrial hemp. There was a video made at the time, which I’ve seen, and it’s pretty exciting to watch. The video shows the process of growing hemp over a number of weeks. But at the end of the video, a state agency comes in and determines that the operation is not legal, and the field is destroyed. So, the history of industrial hemp in the Imperial Valley, and in California, goes back to that field at our research center in 1994. Late last year, Mr. Boucher, who is now the chief executive officer of a company named Farmtiva, approached me about doing another research project on our site. He explained that the laws have changed dramatically since 1994 and that the project could be reopened. I should mention that Farmtiva is backed financially by a company named Isodiol, which is in the business of distributing CBD oil worldwide. CBD oil is derived from hemp and is emerging as a significant natural product with numerous health benefits. The idea was to come in and research the best cultivars, seasons, and growing methods for industrial hemp in the Imperial Valley. Obviously, our weather here makes it possible to grow crops year-round; however, not as much is grown in the summer because the temperature can reach 115º–120º Fahrenheit. The first round of research was aimed at growing industrial hemp during those extremely hot summer months to evaluate the potential for as many as three growing seasons per year. We have a team of people at the center who are monitoring the growth of the plants, which were planted in May. They are tracking soil types, water usage, and other activities, as well as tracking the growth and health of the crop. The nice thing for the Imperial Valley is that all this research will be shared with any interested farmers in the area. In fact, we had our first growers workshop in August; we had a great turnout with lots of interest, both locally and beyond. 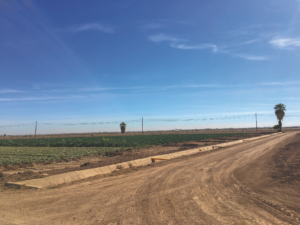 One of IVCRC’s goals is to help educate the county and local farmers, not only on hemp but on navigating California’s laws and establishing the Imperial Valley as a major national and global producer. At the moment, while the state is developing the registration process for commercial growers, only educational institutions and established research centers are allowed to grow industrial hemp in California for research. 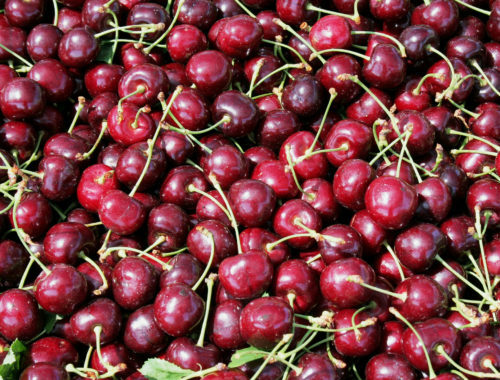 Because we are an established research center, we are able to conduct the research at no cost to the local growers, who will eventually get all the benefits of the research. Parker Kenyon: Would you please share your insights and predictions about the growth of the industrial hemp industry in the United States? Jim Wood: Some research on industrial hemp has been done in other areas of the United States, but our research will go beyond just looking into growing and harvesting the plant. We are going to research the processing, distribution, marketing, and sale of the product. The idea is that at the end of the research, we will have a template for a business model for the Imperial Valley to use. My understanding is that the most profitable product to be made from industrial hemp is CBD oil. Other products, such as seeds, seed oil, and fiber, can be valuable, but at the moment, CBD oil is the most profitable. I have seen projections that show that CBD oil will be a $500 million-per-year industry by 2022, and that overall, industrial hemp will be close to a $2 billion-per-year industry. Actually, it is already a significant business in the United States, but all the hemp is grown abroad—so there is a huge opportunity for growers in the United States to develop a local supply. Here in the Imperial Valley specifically, we expect hemp to be a $600 million commodity. To put that in perspective, the county’s current most valuable commodity, cattle, brings in around $400 million per year. 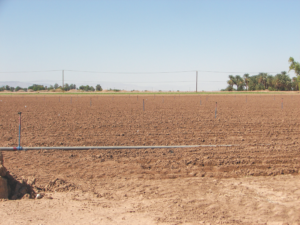 Industrial hemp has the potential to become the largest income producer in the Imperial Valley. Parker Kenyon: What would be your advice to anyone who is considering breaking into the research and production of industrial hemp? Jim Wood: At this moment, you have to be very careful to make sure that you are legally qualified to research and grow industrial hemp. As it stands, in California, only established research centers and colleges and universities are allowed to do this research. Federal and state laws sometimes conflict, or at least create confusion. In California, independent farmers are not allowed to grow hemp quite yet, even for research purposes. I would also say that having an advisor like Chris Boucher, with his many years of experience and expertise, has been critical for us on this project. We planted our first crop in late May to grow in June, July, and August, when temperatures reach as high as 120º. Because of Chris’s background, he was able to identify and procure varieties of hemp that would be able to withstand that heat. I have had farmers tell me that they attempted to grow small quantities of hemp and had no success. The knowledge and direction that we are receiving from Chris have been critical. Parker Kenyon: Have you had any difficulties with the public perception of your research? Jim Wood: It has been a mixed bag, and there are still ongoing discussions with the public about our research. 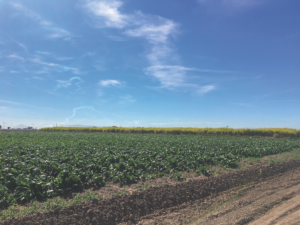 There are many farmers in the Imperial Valley who are eager to be involved in the research project, with the goal of getting involved with hemp on their own. It can be tricky because federal and state laws place restrictions on this type of research. Congress has taken actions recently that have made it easier for people to get involved in the research of industrial hemp. Congress has also acted to prohibit the federal government from spending any money to inhibit this type of research. However, there are still gray areas in the federal laws. The public perception can be a little frustrating at times because there are a lot of people who think that marijuana and hemp are the same thing. That is not the case. The key to marijuana’s psychoactive effects is its high THC content. Hemp has virtually no THC and thus no psychoactive effect whatsoever.They happen to be in the same botanical family, cannabis sativa, but they simply are not the same thing. That is a widespread misunderstanding. Hopefully, that perception will change. The 2018 Farm Bill is a promising step in that direction. One of the things that we expect to come out of the Farm Bill is the removal of hemp from the controlled substances list. That removal will begin to change perceptions of hemp and eliminate some of the restrictions on growing, transporting, and marketing hemp. For more information about the Imperial Valley Conservation Research Center, visit brawleyresearch.org or e-mail info@brawleyresearch.com.